Grew up with Radnicki Belgrade (Serbia) youth teams. Signed by BC Red Star Belgrade on January '02. Moved to France for the 2007-08 season, signed by MSB Le Mans. .played there also the 2009-10 championship. On December'10 moved to Germany, signed by EWE Baskets Oldenburg. Moved to Turkey for the 2013-14 season, signed by Turk Telekom Ankara. 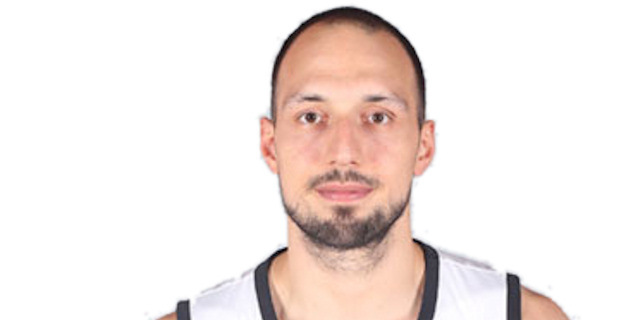 Back to Serbia for the 2014-15 season, signed by BC Partizan Belgrade. Won the 2004 Serbia & Montenegro Cup with BC Red Star Belgrade. Named to the European U-16 Championship 1st Team.